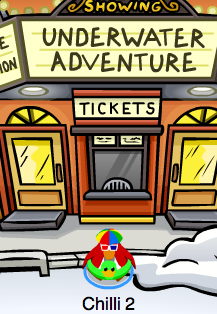 Club Penguin July 2010 Underwater Adventure Play is Here! Guess what! The new play that was supposed to come out on the 23rd, came out early today! Let’s check it out! Once two penguins ponder upon a mystic fish, their journey turns into something like never before! THERE ARE NO CLOTHING HIDDEN ITEMS! BUT CHECK OUT THESE TIPS! New: Club Penguin 2010 Fairy Fables Penguin Play Cheats/Info! Hey Guys! 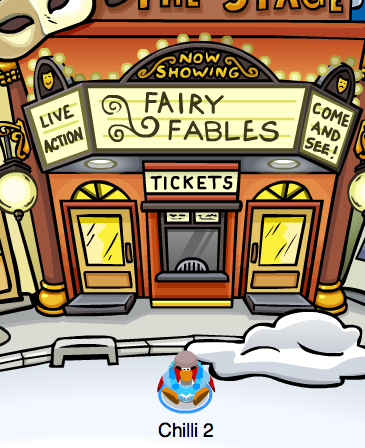 Today is really cool because the all time favorite, I guess in my opinion too, Fairy Fables has came back to Club Penguin! The Award Winner! ROFL I love the sheep for some reason! Check out these features! There is a cool script, an exclusive Fairy Fables Story Book, and a sweet catalog! The book is pretty cool Check it out! When you have the time, read the script too! Love the scene, you know? Now for the cheat! There is only one like always! 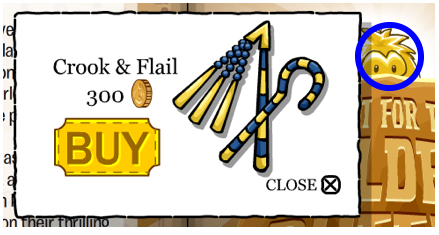 Cheat: Click the radio in order to get the Silver Wand! Peace out! Enjoy the play! Exclusive: Club Penguin Releases Fairy Fables Screen Background! Hello Penguins! How is everyone going? I am posting again which is good. Sorry I wasn’t there at the battle yesterday something happened to me. You can find a better explanation here as to what happened. It is a Penguin Play Award Winner! How sweet! More updates coming to the blog today! Please read my response to the battle here. New Quest for the Golden Puffle Club Penguin Play Cheats! The Christmas Holiday is really in to play and I almost forgot this new Play! 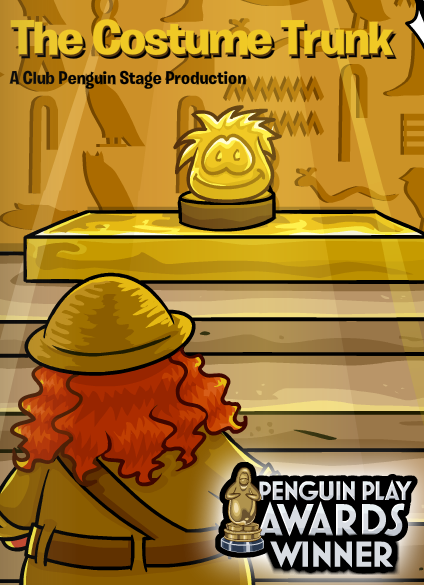 The Quest for The Golden Puffle! 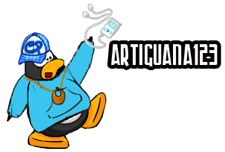 It is a classic play, probably one of the best on Club Penguin! It came out today on Christmas! Cool! How is everyone’s holiday anyway? Share your thoughts! Here are all the cheats! Not much surprisingly! Enjoy this play! It is amazing! Happy Holidays! Yeah sure I can make it! For what? The EPF DS Game? Chilli its the fairy fables now lol… Well today i saw this guy name chilli 6 was that you??? No, that was Pary! LOL! There is a cool new play! It is awesome! It’s called Norman Swarm Has Been Transformed! It has an awesome catalog too! Check out the cool bug costumes! Check out this cool animation I made that let’s you enter the secret room and and have a new pin! 1. You must be wearing a bug costume! Thanks for the info! I was having a hard time figuring it out! np for reminding you chilli! 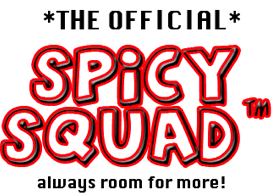 I cant wait to be part of your crew!!! Lol for some reason I knew you were going to say that! Lol I’m fixing it thanks! You can remind me about stuff anytime! But in the future I promise I will be more quick at it! Argh it’s not me being lazy or anything! It’s wordpress! 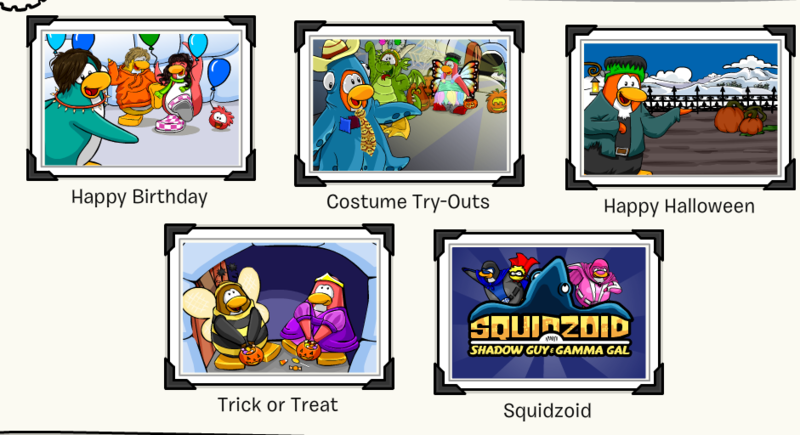 New Club Penguin October Halloween Cards! Hey Guys! What’s everyone been up to lately! I haven’t really heard from you guys in a while! 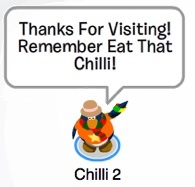 Well, anyway, on Club Penguin, I noticed they have some sweet new postcards! Check it out! My favorite card is the the Trick or Treat Card! Check it out! Sweet! 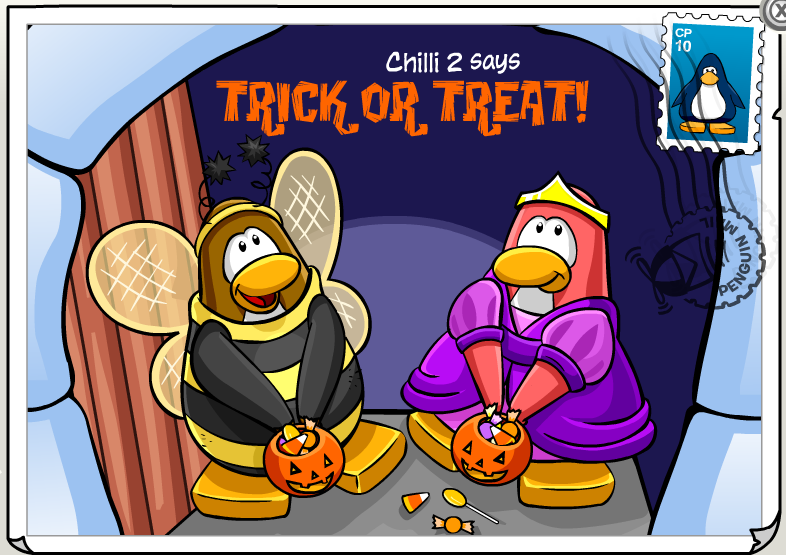 I say “Have a Sweet Club Penguin Halloween!” P.S The Club Penguin Halloween Party is coming soon! Hey Black! Thanks dude. Maybe you can be in my next video! whens your next video going to be?